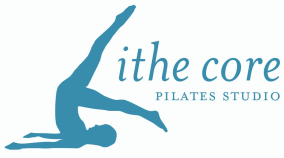 L﻿ithe Core ﻿is Wilmington's Premier Boutique Pilates Studio, specializing in Pilates and Barre. We offer cutting edge programs that integrate Kettlebell Training, Bodyweight Training, Functional Training, Cardiovascular Exercise, and Yoga. Simply put, we offer the most effective and time efficient workout available. Programs are customized according to clients’ needs and desired results. No two programs are identical. Come in and enjoy one on one training or small group classes. All apparatus classes are performed on the latest, top of the line Balanced Body equipment. We are located minutes from the beach and shopping with ample parking for your convenience. Natural lighting, cardio theatre, private dressing room, towel service, mats and chilled water provided at no extra cost. Pilates is a challenging, low impact, total body workout that focuses on strengthening the core and elongating musculature. Pilates is a resistance-based exercise that uses unique apparatus to strengthen and stretch allowing the body to develop into a long, strong, lean form. Pilates is for everyone: the athlete, the office worker, the injured, the strong, the flexible and inflexible, the dancer, the boxer, the expecting mother, the young, and the elderly. Pilates is ageless and genderless. With hundreds of exercises Pilates will push you farther than you ever thought your body could go. Joseph H. Pilates (the founder of Pilates) explained Pilates as a workout that "is the attainment and maintenance of a uniformly developed body with a sound mind fully capable of naturally, easily, and satisfactorily performing our many and varied daily tasks with spontaneous zest and pleasure." We wish for people to enjoy their lives with the comfort of proper posture, increased flexibility, and improved strength. We strive to provide a safe, positive, and fun environment for you to meet your personal goals. Take action. Commit to your word and deliver through your actions.